I welcome the commitment recently given by the Department of Social Development that £1million funding has been set aside by the Department towards cost of regenerating Holywood Town Centre. Work will shortly commence on devising a Masterplan for Holywood with the Department for Social Development and North Down Borough Council soon to start seeking the views of local people concerning future vision for Holywood Town Centtre. This will then help influence a programme of works to take place from 2013 onwards such as pavement improvements, signage etc. 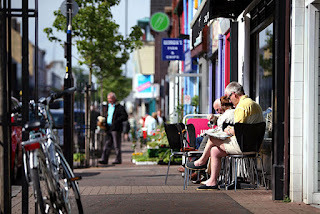 to regenerate Holywood and create an even more attractive Town Centre. £1million funding secured will hopefully be matched by North Down Borough Council to create a £2million package which will help deliver a new enhanced Town Centre fit for the future. I urge all local businesses, people and community groups to engage with the Masterplan consultation when it commences.